New Year Resolutions... Welcome 2016 - CounterCultural. CounterCouture. 1. Go down to 10.7 stone. So it turns out that going down to 10.7 stone is not particularly easy for me. However, I did manage to fit in to a size 10 pencil skirt at my slimmest. So while I didn’t meet this resolution, I definitely learnt some valuable lessons about weight loss, health, food and exercise. However, there is a bag of gingerbread sat on my desk, tempting me. 2. Read the Silmarillion by Tolkein. I can’t believe I managed this one. It was a bit of a challenge at times but a rewarding one. It might not have turned me into a Lord of the Rings/Hobbit fangirl (haven’t seen the Hobbit 1 or 3 yet) but I understand a lot more about Middle Earth. People have no idea just how complex Tolkein’s world really is. 3. Complete the 2015 book challenge. I don’t think I managed to tick off over half of the categories on the book challenge. I have definitely started reading more though Netflix remains a constant distraction. I am currently reading through my favourite YA series from start to end in one go so I’m happy to sacrifice the challenge in exchange. I will be back to the challenge once I finish the House of Night. Failed. This one will be getting moved to 2016. 5. Visit a new European country. I made it to Belgium with my old housemate, Jess. We had a fabulous time exploring Ghent and Brussels. The highlight of the visit was definitely Gravensteen Castle, which overlooks Ghent. Plus we ate lots of Belgium fries. 6. Write more posts on modest fashion. I started off really well with this one, creating the #CCModestStyle series. However, my brief holiday from computers due to RSI really took the motivation away. 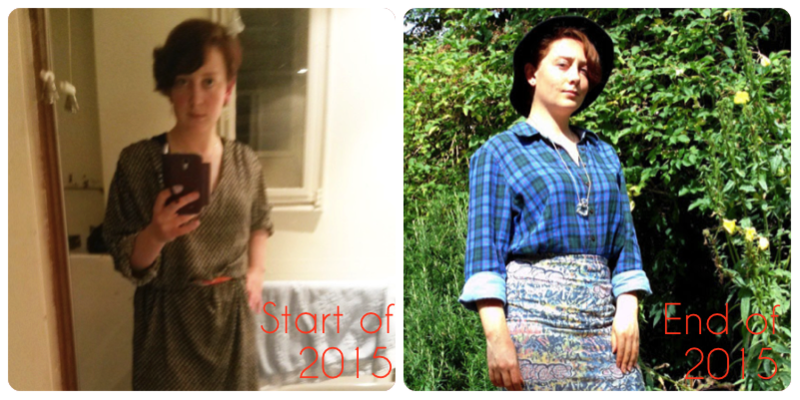 So I wrote more posts on modest fashion on here but they sort of died a death. I’m currently trying to decide how best to resurrect #CCModestStyle and what it should look like. 7. Watch more historical programmes. I have definitely upped my quota of historical dramas this year but I’m not sure they count. Historical documentaries just don’t seem to be on my radar. I could blame my parents’ addiction to Star Trek and NCIS (all the time!) but with demand TV that doesn’t wash. Let’s see if I can do better in 2016. 1. Improve my Facebook page and aim for 50% of the people following it to not be people I know. This one might sound a little odd but just go with me. Facebook is still the most-used social media and the one we are all most likely to hang out on. Therefore, if I want to get to know you guys better, it would make sense that I need to hang out in the same place as you. I created this blog for you so I need to know what you want to read about. Facebook is the perfect place to tell me what you want on here. But for this goal to be completed, I need your help. So why not come over and join me for a (digital) cuppa? 2. Register and buy my own domain. You might have noticed I still have “blogspot.co.uk” as the end of the blog’s url. This is not exactly professional looking and though I’m not looking to monetize my blog, I do want it to start looking professional. (I have even created a style guide.) So I’ll be researching the best people to host my domain before registering it and going live. So keep your eyes peeled as I’ll be sharing on Twitter and Facebook when it changes. 3. Use this blog as a foundation for a community of girls who are looking to live biblically and counter-culturally. When I started blogging, I wanted to be a voice for British girls who were looking for modest alternatives to the High Street. I’ve since realised there is a lot more to this than challenging opinions. I also want to get to know those of you reading this blog. So I’m going to turn CounterCultural. CounterCouture. into a community for those of us looking to serve Christ in every everyday way. 1. Visit Scotland and another (probably European) country. So I failed to make it up to the Highlands in 2015. I promise myself 2016 will be different! Even if it means going on my own to stay in a youth hostel in order to explore one of the castles from Hand Luggage Only’s 14 fairytale castles. I will make it this time! 2. Pass my driving test in time to hopefully drive up to the Keswick Convention 2016. Yeah I’m 23 years old and I still can’t drive a car on my own. I passed my theory test in 2015 and I am back with a (third) driving instructor. I am determined to pass my driving test in time to drive up to Keswick in July. Then I can say goodbye to catching a train at 5.45am and possibly break my journey in two. Sleep-deprivation and independent-travel sorted in one go! 3. Cut back down on the amount of refined food I am eating. I am a total sugar addict, having completely relapsed a year after #SugarFreeSeptember. I am determined to reduce how often I eat ready meals, chocolate bars, sweets and basically anything that is refined and ready-made. This won’t always be possible- a girl’s got to bake- but I will be doing it as much as possible. 4. Read more about biblical women and biblical femininity. This resolution was inspired by a post I read on GirlDefined. Over 2015, my relationship with God was too dependent on my emotional stability, mental health and self-esteem. In 2016, I am determined to change things around; my relationship with God should be the foundation of the rest of my life. I’ll be starting in the Bible, looking at the lives of women who followed God and what is said about femininity. So those are my resolutions for 2016 (sorry it’s so long). Not all of them are adventurous but if I manage to complete them all, they will change my life. Now it’s your turn. What are your resolutions for 2016? 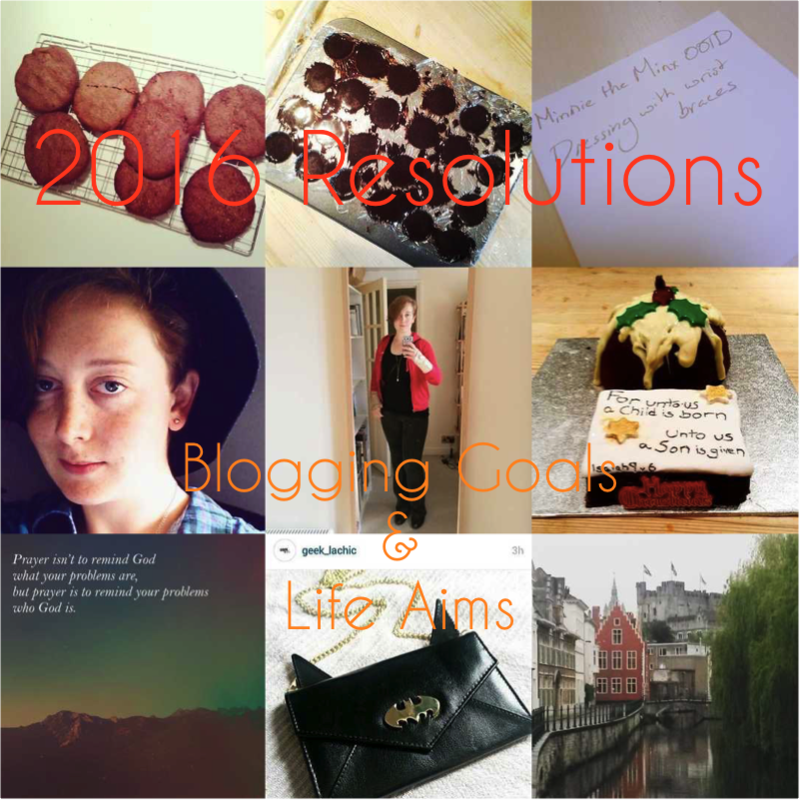 The post New Year Resolutions… Welcome 2016 first appeared on CounterCultural. CounterCouture.